Tag Shack Vintage License Plate Store offers the nicest authentic license plates at the best prices. Shop for old used expired license plates for art, crafts, collecting, trading, and decorating. Find genuine authentic collectible license plates. We do not sell fake, reproduction, or imitation license plates! 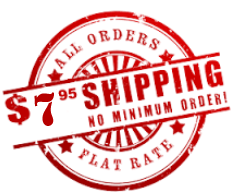 Enjoy nice clean plates at amazingly low prices and flat-rate shipping! 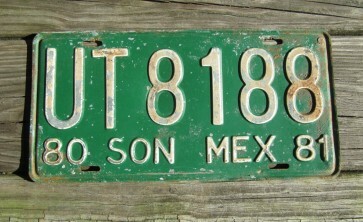 Fun: Collect old, used, vintage, antique, and rare license plates for fun. Trade: Trade expired license plates with friends and family to get you closer to your collection goals. 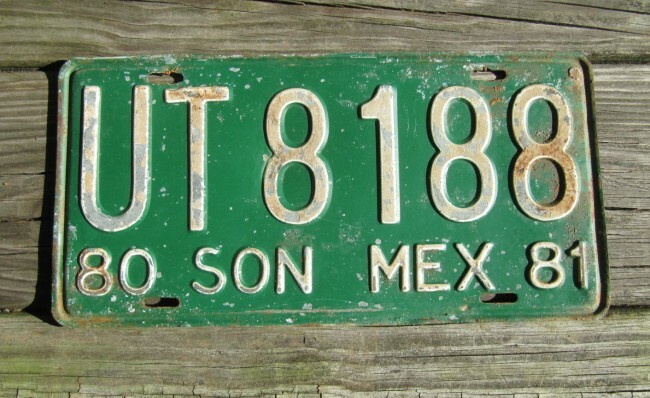 Souvenirs: Shop old license plates for memorable souvenirs. Meets and Conventions: Meet new friends who share the fun of license plate collecting. Create Arts,Crafts, and Decor: Create art, crafts, and home decor from real license plates. Gifts: Genuine license plates make exceptional personal gifts. Education. Real authentic license plates feed education and inspire creativity. Recycling. Recycle, repurpose, upcycle, and reuse old used license plates.